What a sweet idea! 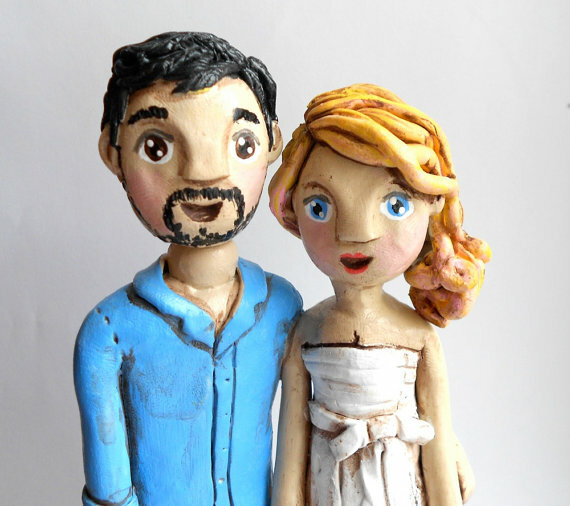 This handmade paper clay sculpture is completely crafted by hand (no molds here!) and secured to a solid wood base with wood dowels for easy cake placement. The couple can be customized to reflect their unique look with options such as custom outfits, hair color, eye color, skin color, hair style, facial hair, and more. The bride can even wear a full veil and dress, made to look just like hers! 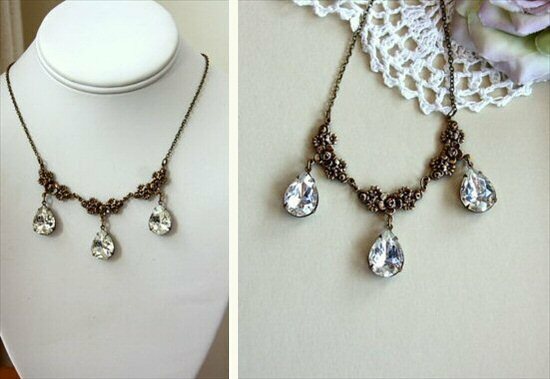 Each piece is hand-painted, antiqued, signed, and dated by the artist. 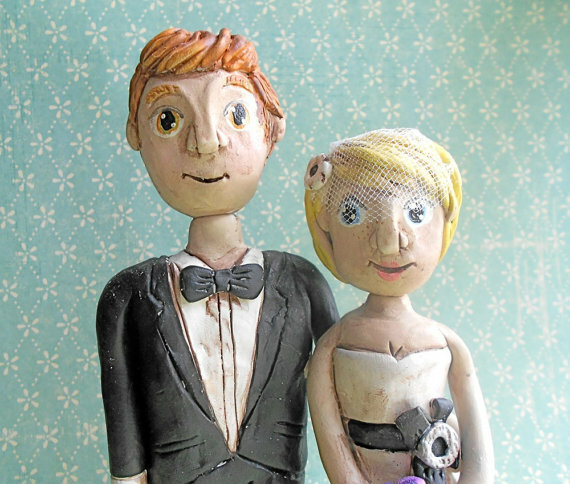 As no two couples are the same, neither are two of these cake toppers. Visit Indigo Twin Weddings and order your cake topper. 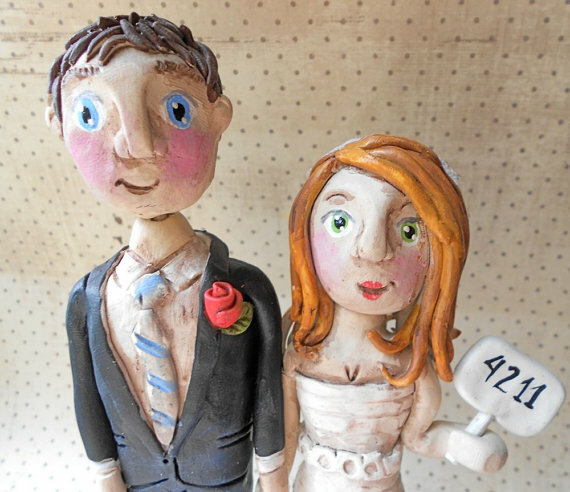 Simply answer the questions (they provide) to give specific details for creation of your custom cake topper couple. 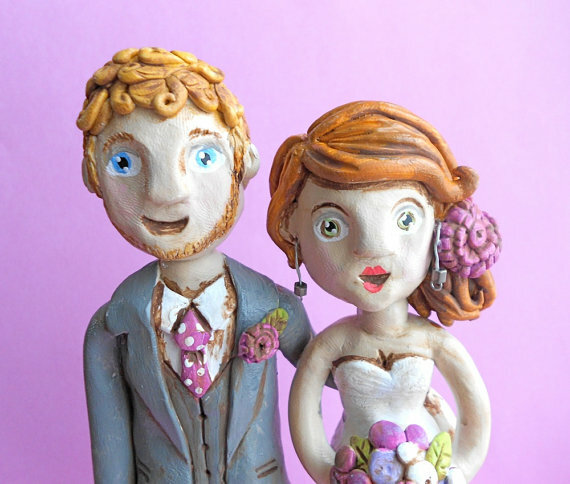 They’ll work on a drawing to submit to you… once approved, your cake topper creation process begins! It’s easy! Ready to get yours? I’m already married but I even want one of these! 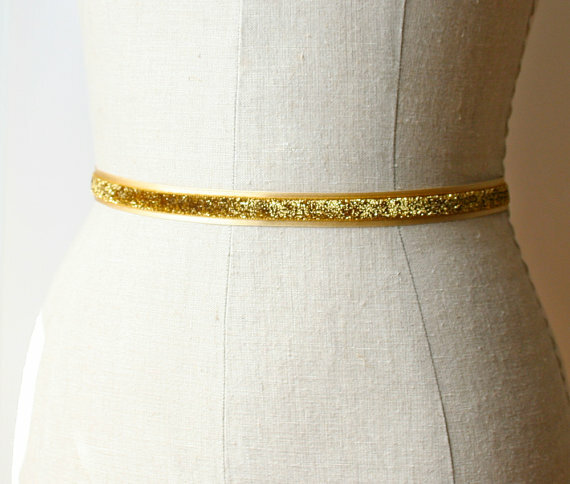 :) Visit Indigo Twin Weddings to get started. P.S. 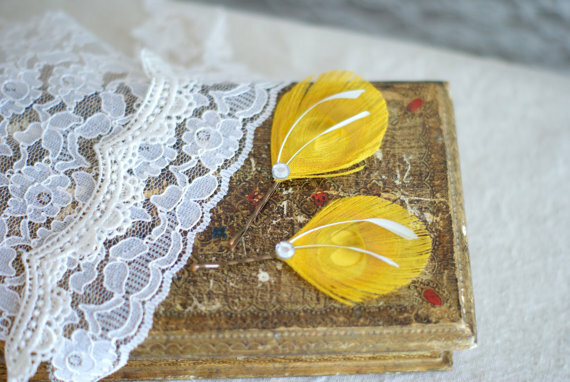 Make sure you’re following us on Pinterest + Twitter for the latest in handmade wedding inspiration! P.S.S. Sign up for this week’s giveaway over in our blog this week… you’ll love it! P.S.S.S. Have you used our NEW Random Loveliness Generator™ yet? It’s quite addicting.